Tony and his crew replaced the entire eavestrough and added the T-Rex leaf guard on my home. These guys are excellent in every way. Attention to detail, quality of materials, fantastic customer service, warranty and competitive pricing.....way better than all the other quotes I received. Honest, hardworking crew who worked fast and left my entire yard spotless after they were done. I highly recommend Tony and his crew at Nationwide Aluminum. I had Dwayne service my home a few years back and was extremely impressed with his work. I had him come out today to service my AC system and furnace which was leaking in the basement. Folks, you will not get better service from anyone but Dwayne Culzac. This guy is the real deal who goes beyond what he has to do to satisfy his customers. You just don't get honest service like this anymore these days. It is indeed refreshing to see this type of integrity and attention to detail in all aspects of his work. You will not be disappointed. Due to the excellent repair work Rick and Ravi completed on my fridge last year, I decided to hire them again to repair my electric range. I called on a Sunday evening and Rick called right back after a message was left. As expected, Rick and Ravi came out with the required parts and completed the job within 15 minutes! They ensured all was in in working order before they left. These guys are professional, honest and don't overcharge for their work. 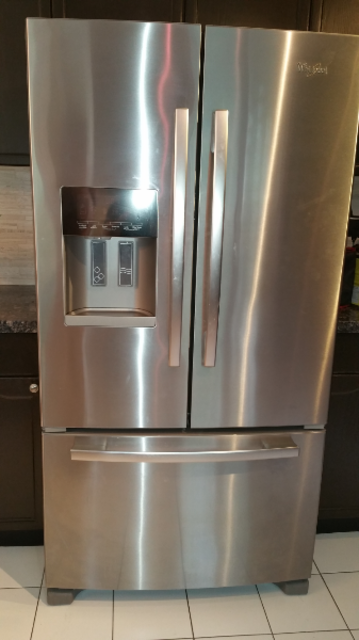 AC Appliance Repair is the only company I will call for all my kitchen appliance needs. If I could rate them higher, I would. Thanks for taking your time and writing a review for us and we appreciate your support. Thank you for your business. Have a nice day. The only company I trust to work on my home. I had Accurate Construction Ltd repair a crack in my basement some time back and was very impressed. I had Jason in today for another issue on the other side of the house. He is a straight up, honest guy who goes beyond what is required or asked. Jason provides reasonable rates for such quality workmanship. In a world where lots of companies do poor work with ridiculous prices, it is nice to see there are still good people out there, like Jason and his crew, who do not take advantage of customers. Look no further than this company. Absolutely impressed with Rick and Ravi. Fast, honest service. Definitely would use for all my appliance needs from now on. thanks rob taking your time and wrinting the review for us and appreciate your support. Sam went out of his way to find the necessary parts to order for my dishwasher. He installed everything quickly and ensured things worked properly before he left. I would not hesitate to hire his services again if needed. Always good to see there are honest individuals out there that care about customer service. I decided to wait for a while before I did this particular review to see if the squirrels would actually come back, but they have not. After contacting a well known pest control company in the mississauga area, I waited to see what their quote would be to get rid of two squirrels in my roof...it ended up being $2500.00 dollars...yes you read that correctly. I was told to get some sort of steel protector, and a slew of other things as they critters would come back. I decided to get another quote and found Aanteater. For $200 bucks...yes, you read that correctly ...a whole $2300.00 cheaper, I got the job done and the squirrels have not been back. Need I say anything more? Honest pricing, professional folks. Thank you Rob for taking the time for writing this review. Do not look any further than Dwanye Culzac. I have called several "top contenders" from here at Homestars to come out and check my furnace and a/c and nobody, just from the telephone conversation alone, was able to convince me but Mr. Culzac. I had some companies state to me that to come out to look at my problematic furnace would cost me $189.99 plus taxes, but for me, they will do it for $159.99 plus taxes...sure. Others were very similar in their approach. With Dwayne, he gave me tips over the phone to see what to look for before he came out (just in case it was an easy fix and would save me money). Dwayne still came out when he said he would and did far more than what was expected. He is very thorough and professional in what he does and is also very, very reasonable in terms of cost compared to the other companies I called. Dwayne proves there are still some honest people out there who do not take advantage of customers with outrageous quotes and terrible service. He does not try to sell you things that are not needed, and ensures EVERYTHING is in proper working order before he leaves. He even fixes things that were not part of the original problem free of charge...you will not go wrong with this guy. Definitely the only company I am going to call from now on. I called various other companies and found Windows 2000 to be the most reasonably priced. Polite people who were very professional in all they did and in a timely manner. Would definitely call them again. What Lawn Care? Where is the Better Business Bureau? ABSOLUTE WORST SERVICE!!!! These people are not honest at all. They showed up for one treatment on my lawn and did not fully finish the job. I had to chase them down for 2 months to come back and complete the job which was aeration and overseeding. They kept saying they were coming out but never did!!! After my cancellation of services, they showed up to apply weed killer. With the amount of complaints against this particular company, why has not the Better Business Bureau shut them down? Keep far away from these folks. I am sorry to hear that you had a bad experience with our company. Should you ever have any questions or concerns in the future, I would be more than happy to be your point of contact. I can be reached at kyle@doctorgreen.com.